Since The Spice Club’s feature on the Hairy Bikers, we have been inundated with requests for our Shahi Kofta Masala recipe which was shown on the episode. 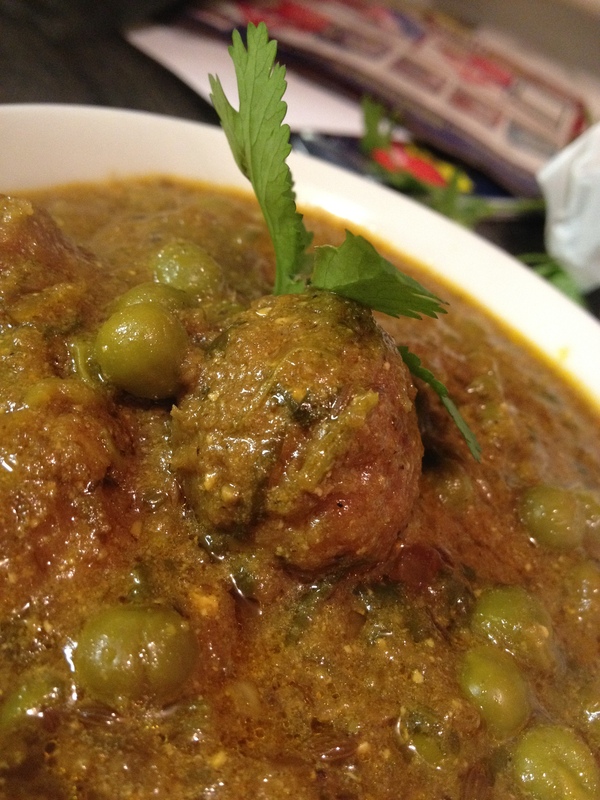 This is a delicious vegetarian dish that is made from fresh lotus root kofta balls cooked in a Punjabi masala and peas. You can also add paneer which adds a lovely texture and takes the dish to the another level! Fresh lotus root is usually available at most Indian and Chinese grocery shops. (If you can’t get fresh you can also get it in a tin). We have made this dish at a few of our supper clubs and we always receive rave reviews. Many guests comment on the “meaty” texture of the koftas and are surprised that it is actually vegetarian! So without further a do, check out the recipe below. Comments are always appreciated and if you make it, tweet a pic to @thespiceclub! 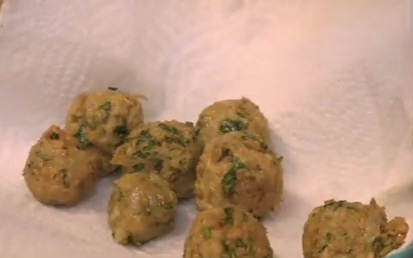 To make the koftas, you can follow along the video clip starting at 4.53 onwards. Peel the lotus root and grate. Transfer it onto on a clean tea towel and wrap it up. Squeeze out the excess water and place the grated lotus root into a mixing bowl. Add the spices and coriander (written in the kofta ingredient list above) to the grated lotus root and gradually add the gram flour until it binds into a mixture. If you require more gram flour to bind, sprinkle in some more as you go along. Roll into balls and deep fry until light golden in colour and set aside. 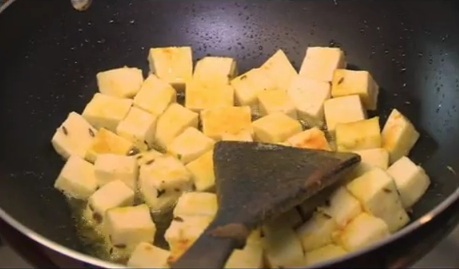 If you want to add paneer to the dish, (this is optional), heat 1 tbsp olive oil in a non stick frying pan. Add the cumin seeds. Once they begin sizzle, add the paneer cubes. Now add the salt and turmeric powder. 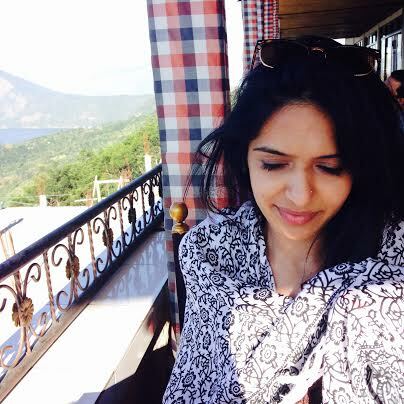 Lightly fry until paneer turns golden on both sides. Remove from heat. To make the masala, In a food processer, add the onion, garlic, ginger and chilli. Now add the salt, paprika, turmeric powder, coriander powder, garam masala and fresh coriander. Blitz until a coarse paste has been formed. Now heat olive oil in a pan. Add cumin seeds and allow them to start sizzling. Now add the ground masala paste. Cook on medium heat until it turn, golden brown, stirring continuously. When you see the masala paste is nice and golden, add the plum tomatoes and mash well so it blends with the masala. Keep stirring and cook for 4-5 minutes. Once the oil begins to separate from the masala, add the koftas and peas to the masala. (If you have made paneer you can add it to the masala now too). Boil some water in a kettle. Add 4 cups of water to the kofta masala. Mix well. Place a lid on the pan and let it simmer for 8-12 minutes, stirring constantly. Check the salt and adjust accordingly. Drizzle the cream in just before serving and you’re done. Here’s the final result. Best served with basmati rice or hot chappatis. Enjoy! In a bowl, mix the chicken with the all of the ingredients listed under “marination”. Place marinaded chicken in an oven proof dish dish and place in oven. Cook for 5-6 minutes. Whilst the chicken is cooking, in a food processor, add the onions, garlic, ginger, green chilli, salt, garam masala, turmeric powder, coriander powder and chilli powder. At this point, turn the chicken over and cook for a further 5-6 minutes. Remove from the oven. Heat the olive oil in a pan. Add the cloves, cumin seeds, bay leaves, cinnamon stick and the cardamom pods to the oil. Once they begin to sizzle, add the processed masala paste. Once golden, add the plum tomatoes and mix well. Continue to stir and cook until the oil separates from the masala. Now add the chicken. Add the greek yoghurt and sprinkle on the fresh coriander and cook for 5-7 minutes.